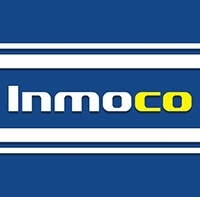 Inmoco is a property sharing system that is used solely by fully registered Real Estate Agents on the Costa Blanca. We are a group of many Estate agents that work closely together for the benefit of you the buyer or you the seller. More choice of properties - More selling agents - 1 Commission paid. 1…You will have access to more properties than you dreamed of, making it easier for you to find your dream home. 2…No more emailing or calling multiple agents and getting confused where properties are coming from and whom is showing you what. 3…Save hours of scrolling over many different webpage, we have hundreds of up to date and current properties, so let us do the work for you. 4…With dozens of active agents with have new properties coming on to the market daily. 5…Inmoco will save you, time, money, give you confidence and make your Spanish property search so much more a enjoyable experience. 1…Sell your property through the largest group of Real Estate agents in the Costa Blanca and pay only one commission. 2…We are a group of Estate agents all collaborating together so as to give your property more exposure to more clients buying in Spain. 3…Why would you want to sell through anyone else ? Your properties will be shown to a much wider audience with us as a Inmoco agent. 4…Inmoco adverts are placed in Major media, our advertising board are placed on all the main Costa Blanca roads like the N332 and the CV91. 5…We market the fact that our agency is part of a Major group of agents and that clients only need to come to us and not to go to hundreds of different agents to find the home of their dreams.